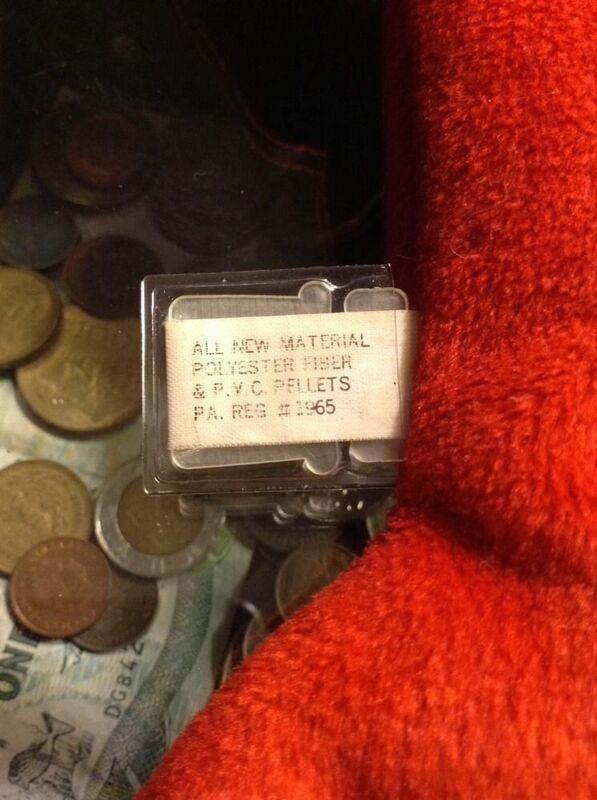 You don’t see these everyday, a pre-1st Generation Pinchers with the UK tag instead of the normal heart tag. After 23 bids, the beanie ended at $1,525.00 on October 29, 2013. It was one of the highest priced beanie babies on eBay during 2013. and one of the very few pre-1st Generation versions to appear on the online auction site. Pinchers is apart of the ‘Original 9’ Beanie Babies produced by Ty Warner. In fact, at the 1993 New York Toy Show, Pinchers and Brownie were the very first Beanies to be shown off to the public. 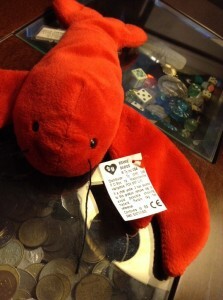 Ty made the Pinchers beanie baby for many years, and several versions exist. The only ones worth any real money are 1st Generation and 2nd Generation Heart Tag versions. A 1st Generation with Korean Tush Tags. Punchers/Pinchers sold on June 2, 2013 for $1,800.00, it was one of the highest priced beanies to sell in 2013. Impossible to Find – RARE!